Albert Einstein is rumored to have said that one cannot solve a problem with the same thinking that led to it. Yet this is precisely what we are now trying to do with climate change policy. The Obama administration, the Environmental Protection Agency, many environmental groups and the oil and gas industry all tell us that the way to solve the problem created by fossil fuels is with more fossils fuels. We can do this, they claim, by using more natural gas, which is touted as a “clean” fuel—even a “green” fuel. That truth is basic chemistry: when you burn natural gas, the amount of carbon dioxide (CO2) produced is, other things being equal, much less than when you burn an equivalent amount of coal or oil. It can be as much as 50 percent less compared with coal, and 20 percent to 30 percent less compared with diesel fuel, gasoline or home heating oil. When it comes to a greenhouse gas (GHG) heading for the atmosphere, that’s a substantial difference. It means that if you replace oil or coal with gas without otherwise increasing your energy usage, you can significantly reduce your short-term carbon footprint. Those are significant benefits. In part for these reasons, the Obama administration has made natural gas development a centerpiece of its energy policy, and environmental groups, including the Environmental Defense Fund, have supported the increased use of gas. President Obama has gone as far as to endorse fracking—the controversial method of extracting natural gas from low permeability shales—on the grounds that the gas extracted can provide “a bridge” to a low-carbon future and help fight climate change. As a historian of science who studies global warming, I’ve often stressed that anthropogenic climate change is a matter of basic physics: CO2 is a greenhouse gas, which means it traps heat in Earth’s atmosphere. So if you put additional CO2 into that atmosphere, above and beyond what’s naturally there, you have to expect the planet to warm. Basic physics. The often-touted decrease in greenhouse gas production applies when natural gas replaces other fuels—particularly coal—in electricity generation. That’s important. Electricity is about 40 percent of total US energy use. Traditionally, coal has been the dominant fuel used to generate electricity in this country and most of the world. (And no one has any serious plan to live without electricity.) Any measurable GHG reduction in the electricity sector is significant and gains achieved in that sector quickly add up. But a good deal of the benefit of gas in electricity generation comes from the fact that it is used in modern combined-cycle gas turbine plants. A combined-cycle plant is one in which waste heat is captured and redirected to drive a mechanical system that powers a generator that creates additional electricity. These plants can be nearly twice as efficient as conventional single-cycle plants. In addition, if combined with cogeneration (the trapping of the last bits of heat for local home heating or other purposes), they can reach efficiencies of nearly 90 percent. That means that nearly all the heat released by burning the fuel is captured and used—an impressive accomplishment. Replacing coal with gas in electricity generation is still probably a good idea—at least in the near term—but gas isn’t just used to generate electricity. It’s also used in transportation, to heat homes and make hot water, and in gas appliances like stoves, driers and fireplaces. Here the situation is seriously worrisome. Certainly, gas does leak, and the more we transport, distribute and use it, the more opportunities there are for such leakage. Studies have tried to estimate the total emissions associated with gas using well-to-burner or “life-cycle” analysis. Different studies of this sort tend to yield quite different results with a high margin for error, but many conclude that when natural gas replaces petroleum in transportation or heating oil in homes, the greenhouse gas benefits are slim to none. (And since almost no one in America heats their home with coal any more, there are no ancillary benefits of decreased coal.) One study by researchers at Carnegie-Mellon University concluded that while the probability of reducing GHG emissions at least somewhat by replacing coal with gas in electricity generation was 100 percent, the substitution of natural gas as a transportation fuel actually carries a 10–35 percent risk of increasing emissions. In the Northeast, the northern Midwest and the Great Plains, many builders are touting the “energy efficiency” of new homes supplied with gas heat and hot water systems, but it’s not clear that these homes are achieving substantial GHG reductions. In New England, where wood is plentiful, many people would do better to use high efficiency wood stoves (or burn other forms of biomass). The argument is complicated because while CH4 warms the planet far more than CO2, it stays in the atmosphere for much less time. A typical molecule of CO2 remains in the atmosphere about ten times longer than a molecule of CH4. In their Fifth Assessment Report, the Intergovernmental Panel on Climate Change estimated that the GWP for methane is thirty-four times that of CO2 over the span of 100 years. However, when the time frame is changed to twenty years, the GWP increases to 86! A great deal of recent public and media attention has been focused not on gas itself but on the mechanism increasingly used to extract it. 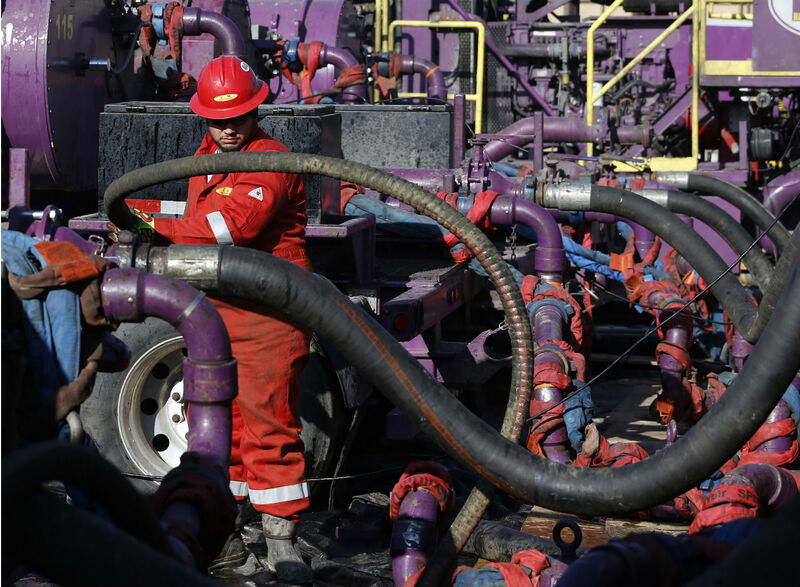 Hydraulic fracturing—better known as fracking—is a technique that uses high-pressure fluids to “fracture” and extract gas from low permeability rocks where it would otherwise be trapped. The technique itself has been around for a long time, but in the last decade, combined with innovations in drilling technology and the high cost of petroleum, it has become a profitable way to produce energy. There have been enormous disagreements among scientists and industry representatives over methane leakage rates, but experts calculate that leakage must be kept below 3 percent for gas to represent an improvement over coal in electricity generation, and below 1 percent for gas to improve over diesel and gasoline in transportation. The Environmental Protection Agency (EPA) currently estimates average leakage rates at 1.4 percent, but quite a few experts dispute that figure. One study published in 2013, based on atmospheric measurements over gas fields in Utah, found leakage rates as high as 6–11 percent. The Environmental Defense Fund is currently sponsoring a large, collaborative project involving diverse industry, government, and academic scientists. One part of the study, measuring emissions over Colorado’s most active oil and gas drilling region, found methane emissions almost three times higher than the EPA’s 2012 numbers, corresponding to a well-leakage rate of 2.6-5.6 percent. Some of the differences in leakage estimates reflect differing measurement techniques, some may involve measurement error and some probably reflect real differences in gas fields and industrial practices. But the range of estimates indicates that the scientific jury is still out. If, in the end, leakage rates prove to be higher than the EPA currently calculates, the promised benefits of gas begin to vaporize. If leakage in storage and distribution is higher than currently estimated—as one ongoing study by my own colleagues at Harvard suggests—then the alleged benefits may evaporate entirely. In our report for the Council of Canadian Academies, our panel relied on industry data that suggested flaring rates in gas fields were extremely low, typically less than 2 percent and “in all probability” less than 0.1 percent. This would make sense if gas producers were efficient, since they want to sell gas, not flare it. But recently The Wall Street Journal reported reported that state officials in North Dakota would be pressing for new regulations because flaring rates there are running around 30 percent. In the month of April alone, $50 million dollars of natural gas was burned off, completely wasted. The article was discussing shale oil wells, not shale gas ones, but it suggests that, when it comes to controlling flaring, there’s evidence the store is not being adequately minded. (At present, there are no federal regulations at all on flaring.) As long as gas is cheap, the economic incentives to avoid waste are obviously insufficient. To ensure that natural gas use doesn’t follow such a path, you’ve got to do something. You could introduce a law, like AB32, the California emissions control law, or put in place the pending EPA carbon rule just introduced by the Obama administration that mandates emissions reductions. Or you could introduce a hefty carbon tax to create a strong financial incentive for people to choose non–carbon based fuels. But laws like AB32 are at present few and far between, the fossil fuel industry and its political and ideological allies are fighting the EPA carbon rule tooth and nail, and only a handful of political leaders are prepared to stand up in public and argue for a new tax. Embedded in all positive claims for gas is an essential assumption: that it replaces other more polluting fuels. But what if it also turns out to replace the panoply of alternative energies, including solar, wind, hydro and nuclear? In Canada, where shale-gas development is well advanced, only a small fraction of electricity is generated from coal; most comes from hydropower or nuclear power. In the United States, competition from cheap gas was recently cited by the owners of the Vermont Yankee Nuclear power plant as a factor in their decision to close down. And while the evidence may be somewhat anecdotal, various reports suggest that cheap gas has delayed or halted some renewable power projects. It stands to reason that if people believe natural gas is a “green” alternative, they will chose it over more expensive renewables. We’ve all heard about the Keystone XL Pipeline through which Canada proposes to ship oil from the Alberta tar sands to the US Gulf Coast, and from there to the rest of the world. Few people, however, are aware that the United States has also become a net exporter of coal and is poised to become a gas exporter as well. Gas imports have fallen steadily since 2007, while exports have risen, and several US gas companies are actively seeking federal and state approvals for the building of expanded gas export facilities. Once coal leaves our borders, the argument for replacing it becomes moot, because there’s no way for us to monitor how it’s used. If gas replaces coal in the United States and that coal is then exported and burned elsewhere, then there’s no greenhouse gas benefit at all. Meanwhile, the negative effects of coal have been passed on to others. All of the available scientific evidence suggests that greenhouse gas emissions must peak relatively soon and then fall dramatically over the next fifty years, if not sooner, if we are to avoid the most damaging and disruptive aspects of climate change. Yet we are building, or contemplating building, pipelines and export facilities that will contribute to increased fossil fuel use around the globe, ensuring further increases in emissions during the crucial period when they need to be dramatically decreasing. The institution of rules or incentives in the United States and around the globe to ensure that gas actually replaces coal and that efficiency and renewables become our primary focus for energy development is at this point extremely unlikely. Yet without them, increased natural gas development will simply increase the total amount of fossil fuel available in the world to burn, accelerating what is already beginning to look like a rush towards disaster. Gas advocates say that while these worries might be legitimate, US greenhouse gas emissions nonetheless fell between 2008 and 2012, partly because of the way gas is replacing coal in electricity generation. This claim needs to be closely examined. In fact, it seems as if the lion’s share of that decrease was simply the result of the near global economic meltdown of 2007–08 and the Great Recession that followed. When economic activity falls, energy use falls, so emissions fall, too. Not surprisingly, preliminary data from 2013 suggest that emissions are on the rise again. Some of the rest of the 2008–12 decline was due to tighter automobile fuel economy standards. But how do we know what our emissions actually are? Most people would assume that we measure them, but they would be wrong. Emissions are instead calculated based on energy data—how much coal, oil and gas was bought and sold in the United States that year—multiplied by assumed rates of greenhouse gas production by those fuels. Here’s the rub: the gas calculation depends on the assumed leakage rate. If we’ve been underestimating leakage, then we’ve underestimated the emissions. Though the converse is also true, few experts think that anyone is overestimating gas leakage rates. This is not to say that emissions didn’t fall in 2008–12. They almost certainly did, again because of the recession. But the claim that there’s been a large decrease thanks to natural gas remains unproven. The reason for industry enthusiasm isn’t hard to discern: a lot of people are making a lot of money right now in shale gas. Chalk up the enthusiasm of the Canadian government, politicians in gas-rich states like Texas, North Dakota and Pennsylvania, and individuals who have made money leasing their properties for gas drilling to the same factor. In those gas-rich states, employment, too, has benefited (even as the familiar social problems characteristic of boom towns have also increased).